This entry was posted in Uncategorized and tagged Happy Birthday.... Bookmark the permalink. 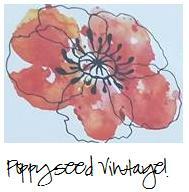 Vintage finds and handmade gifts for all your home decorating needs! Unless otherwise noted, all images and text on this blog are copyright © Francie Meng 2010-2017, or their respective owners. Please do not use without my permission. Thank you! February – The LOVE Month!